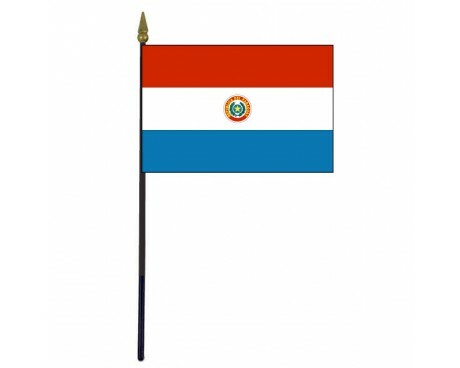 The flag of Paraguay resembles that of many other nations, but it has one feature that is almost unique in the world of flags. The Paraguay flag is one of the few national flags that is different on the obverse and reverse sides. 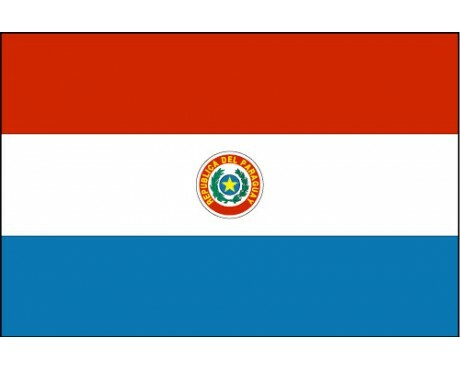 Paraguay's National Motto: "Peace and Justice"
The modern flag of Paraguay is a horizontal tricolor of red, white, and blue. Each side of the flag has a different emblem centered in the white band. 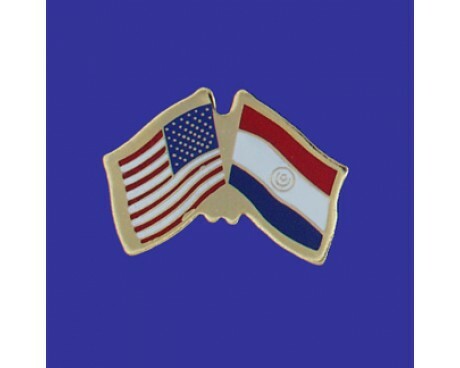 The obverse side of the flag features the coat of arms of Paraguay, while the reverse side of the flag replaces it with the seal of the nation's treasury. The flag's colors most likely came from the flag of France, although the flag of the United States is another likely influence. 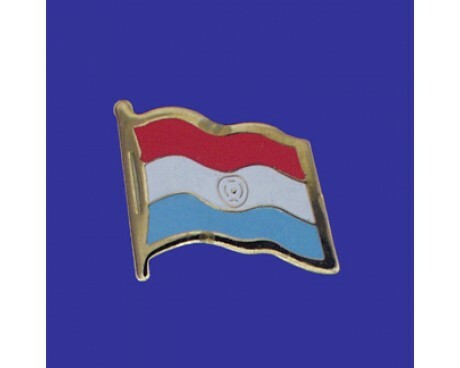 The use of those colors on the flag of Paraguay links the nation to others that embraced liberty during their revolutionary periods, and the colors themselves have become symbols of liberty due to their association with those countries. The coat of arms is a symbol of the nation of Paraguay, and the treasury's seal emphasizes the importance of the national government and its support structure to the nation. There have been several different flags of Paraguay since the nation gained its independence from Spain, but most of them were only used for short periods of time. The country went through several provisional flags before the government selected a design that it believed was fit to represent the nation and its citizens. The first one was adopted in 1811. It was a simple design with a solid blue field that displayed a single white star in the canton. The design was replaced almost immediately. The second flag of 1811 was a horizontal triband of green, white, and blue. It also lasted less than a year before it was replaced by the third flag of 1811, which changed the flag's colors to red, yellow, and blue. The Paraguay flag of 1812 was a clear precursor to the modern flag. It had the same colors and bands as the modern flag, but it lacked the emblems that can be found on the modern design. It was replaced by a new design in 1826, which resembled the first provisional flag but used a lighter shade of blue in the field. It was replaced in 1954 with a design that resembles the current flag. The flag's emblem underwent a few small changes after that, which eventually produced the modern flag in 2013.